Earlier this year organisers of the Cape Town Cycle Tour contracted an independent environmental management company to assess the Cycle Tour’s water footprint. Based on this analysis, a new water policy has been developed which will ensure that the 2018 Cape Town Cycle Tour continues to benefit the charities it supports and the economy of the City of Cape Town, while minimizing its impact on the city’s scarce water resources. “It is our intention that the 2018 Cape Town Cycle Tour will draw zero litres of drinking water from the municipal supply,” said David Bellairs, a director of the Cape Town Cycle Tour Trust. The event’s current water footprint is approximately 300 000 litres. The Trust has identified alternatives that should enable the event to reduce its reliance on potable, municipal water to almost zero. “Provided we can use privately produced desalinated water or recycled effluent waste from the municipal sewerage plants in the toilets, we will be able to take our footprint to zero,” says Bellairs. An independent company will monitor water usage on the day and report back afterwards. Eliminating the event’s reliance on municipal drinking water will be achieved through a variety of strategies. These include bringing water in from upcountry for drinking and ice on the route, and using locally-produced desalinated water for all cleansing purposes. Water stations along the route will be reduced to the 13 essential from a medical point of view.  “Tankers of drinking water from water-flush areas of the country will be supplied at our events during Lifecycle Week – and participants will be encouraged to fill their water bottles and packs from this source. In addition those travelling by road to the Cape will be encouraged to bring sufficient drinking water with them for their own daily consumption. “We will also roll out a comprehensive communications plan aimed at both locals and targeting out-of-town participants, informing them that they are coming to a water-scarce area. The messaging will be clear about how serious the situation is in Cape Town and how we expect riders to behave. We will also ensure our hospitality partners take this even further. It is important for all visiting participants to understand the dire situation that exists in the Cape currently.” says David Bellairs. The entire net surplus of the Cycle Tour is distributed to the Rotary Club of Claremont and the Pedal Power Association. “The cost of the water strategy will mean that the Cape Town Cycle Tour’s contribution to charity will possibly be slightly less in 2018”, says Bellairs: “But we feel strongly that the event must go ahead, as many of these charities rely on this income for their projects, not to mention the significant positive economic impact the Cycle Tour has for the city and the province. The Cape Town Cycle Tour will be staged on 11 March 2018, with a new Start at the Grand Parade Precinct. Keep up to date with developments of the Cape Town Cycle Tour by liking our Facebook Page at www.facebook.com/cycletour or by following us on Twitter at @CTCycleTour or on Instagram @CTCylceTour.